Head to Rue du Gros-Horloge and Champagne Sourdet-Diotfor plenty of shopping. Explore hidden gems such as Chartres Cathedral and Champagne Albert Levasseur. 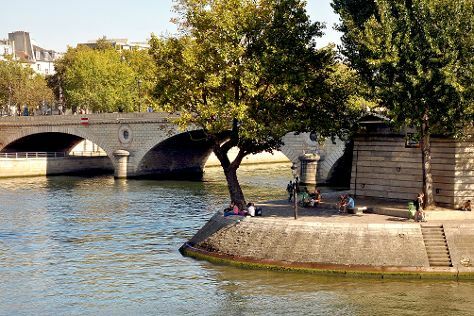 Explore the numerous day-trip ideas around Paris: Champagne Tarlant (in Oeuilly), Champagne Dom Caudron (in Passy-Grigny) and Champagne Roger-Constant Lemaire (in Villers-sous-Chatillon). Pack the 5th (Fri) with family-friendly diversions at Parc Asterix. There's still lots to do: look for all kinds of wild species at Le Bois des Aigles, do a tasting at Champagne Gioria Latizeau, appreciate the history behind Gros-Horloge, and tour the pleasant surroundings at Ile Saint-Louis. If you are flying in from Brazil, the closest major airports are Paris-Orly Airport, Charles de Gaulle International Airport and Paris Beauvais Tillé Airport. In July, plan for daily highs up to 30°C, and evening lows to 18°C. Finish your sightseeing early on the 9th (Tue) so you can travel back home.